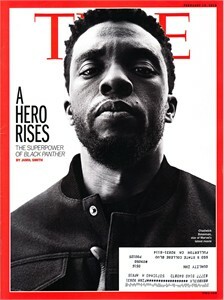 2018 Time magazine featuring Black Panther star Chadwick Boseman on the cover. Has subscription address and Property of Super 8 stamp, otherwise in great condition with only very minor handling flaws. NOT AUTOGRAPHED. ONLY 3 AVAILABLE FOR SALE.